White Line Projects were approached by Fashion Space Gallery to propose and curate an exhibition for their space in London College of Fashion. Over the course of a year, WLP conceived and curated the exhibition, Mundo Latinx, opening 8 February - 4 May 2019. The exhibition explores the representation of Latin Americans through the work of visual artists within a modern-day political, social and cultural context. Showing the diversity of Latin America through cultural and artistic expressions, as well as social media, Mundo Latinx will examine how Latin American identity is portrayed and communicated and what impact these images have in shaping our attitudes around Latin American history and culture. 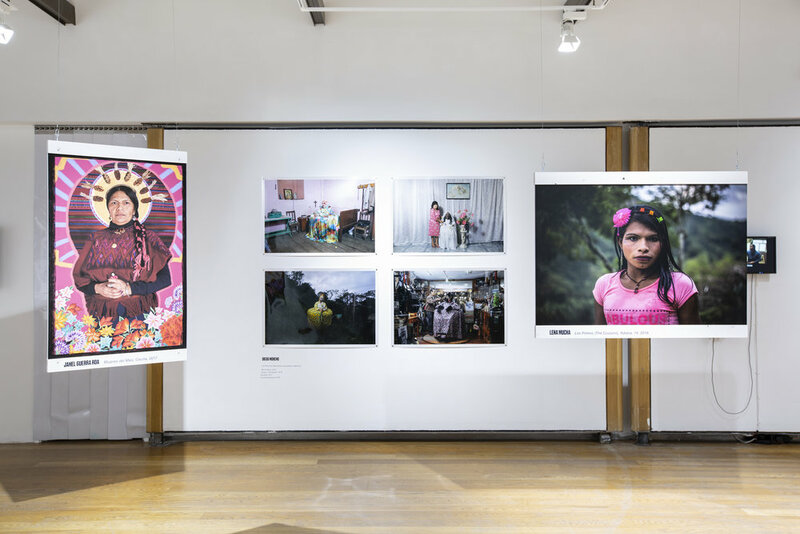 The exhibition will explore and challenge stereotypical interpretations of ‘Latino’ culture, which diminishes the complexities and nuances that exist and challenge the concept that Latin Americans share one identity. It will explore the dominant narrative, played out in the media, that characterises Latin Americans as exotic, criminal and powerless. Including a multitude of disciplines from film, photography and illustration, as well as textile and fashion design, the works chosen to be part of the exhibition take the body as the starting point to critically investigate questions of identity, politics and power. Visitors will be immersed into the work of established practitioners from all over the world including Lucía Cuba whose provocative series Articulo 6 looks at traumatic events within recent Peruvian history and a new generation of voices such as photographers Diego Moreno from Mexico and Brechó Replay from Brazil, who are both challenging notions of Latin American identity and beauty.